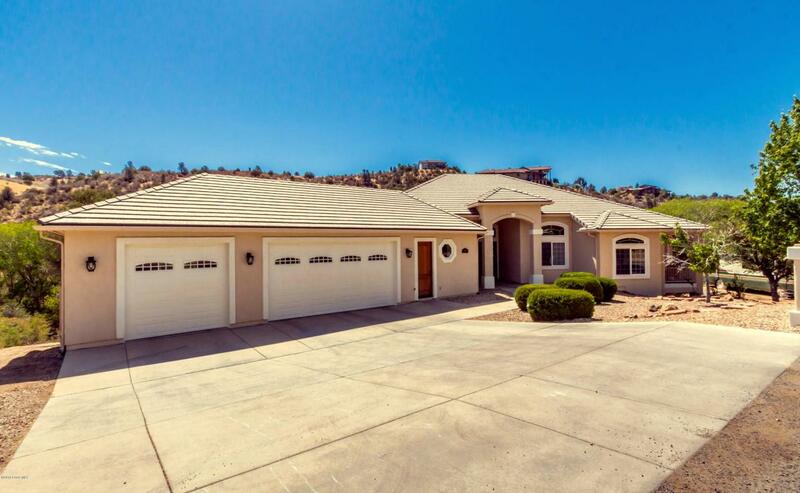 CUSTOM BUILT on a 1.26 Acre In Town! 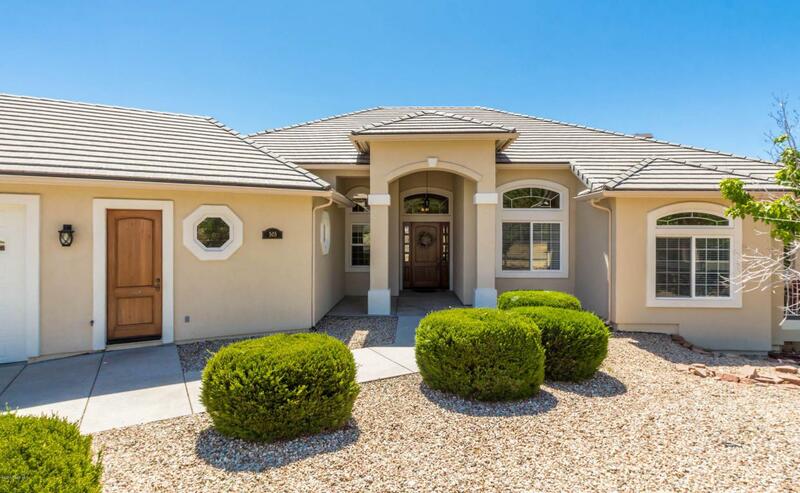 !5,497 Sq.Ft., 6 Bedroom/5 Full Baths with 2 levels. Master Suite is on the Main Floor with View Balcony access. Formal Dining, Casual Dining & Breakfast Bar accent the entertainer's Dream Kitchen! New Island with a Quartz Countertop, Dacor Gas Cooktop and Wolf Double Ovens, WOW. Hardwood floors w/5 1/2'' Baseboard, upgraded window coverings & light fixtures throughout. Quality workmanship at every turn, you will be impressed!! Begin/End each day in your Exercise Room with built in Sauna, then to your walk-in Shower!! 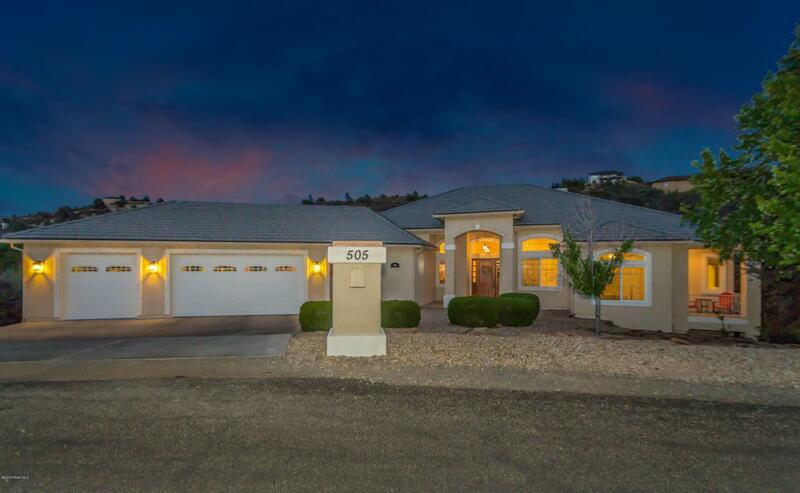 Nestled just minutes from downtown Prescott or Prescott Valley. Call for a showing today. Listing provided courtesy of Gwendolyn Brindley of Better Homes And Gardens Real Estate Bloomtree Realty.